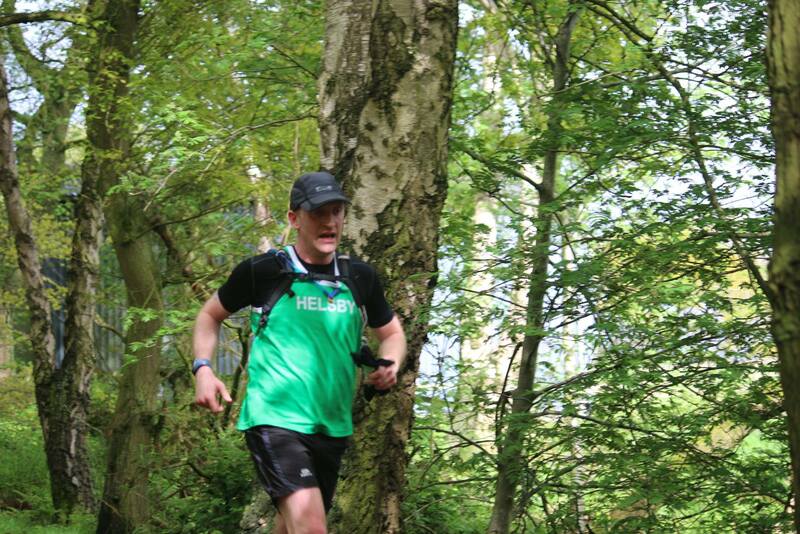 Delamere Spartans 10K Trail Race. This race took place on Bank Holiday Monday and is a welcomed new fixture on the race calender, with Phil Gillard (1st Male Helsby), Alison Halsall (1st Lady Helsby) were amongst a strong Helsby contingent. Well done all. Full results are below. 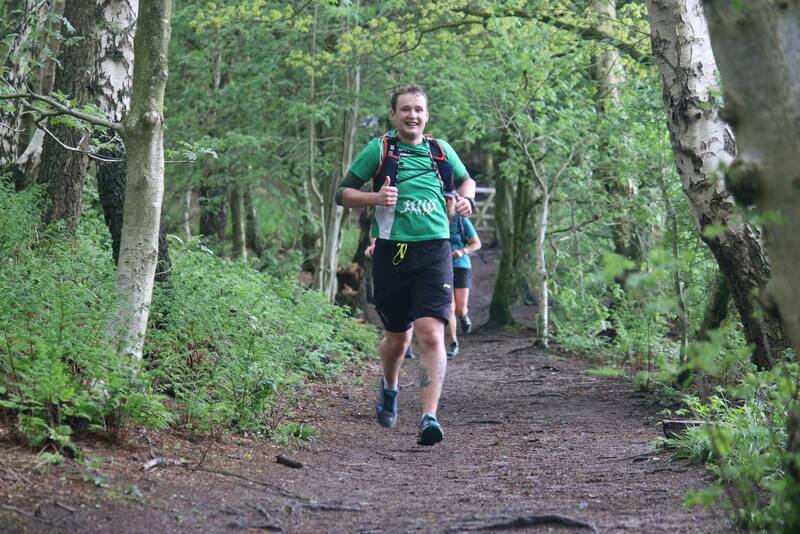 Chris Fitzpatrick wrote the following report from Saturdays 33 mile Sandstone Challenge. Is there a better pound for pound race (sorry challenge) about? No is the answer, unless you speak to some of them mountain goats we have at the club running those fells week in week out. Early start for a few of us marshalling the cars into car park spaces, you would think this is easy but believe me some people really do amaze you with their driving skills. Anyway, onto the important stuff, I think this may have been one of the strongest fields we have ever had on the start line of the STC 5 finishes I think under sub 5 hrs, 2 previous winners in Dave Douglas and Nick Wishart from the Spartans, a few nifty Helsby Runners and the one and only Charlie Sharp, who pretty much wins everything he enters these days, even with his top off, whilst taking selfies and photos along the route whilst listening to music. I was now in a familiar patch running along Frodsham hill reaching the highest point thinking, Christ, I’ve got to go down the hill now quads bursting out me skin!! finally I could see the twin peaks and the green army flags to be cheered in to cattle bells, and a massive round of applause from everyone in the community centre where I must say the volunteers and helpers really come into there own, pies, mushy peas and gravy please, cup of tea sir, yes please, it really does exceed itself this race. So Helsby RC runners had PB’s galore, myself knocking 12 mins of my previous best time, Ben, and Ste both smashing it, Degs doing it for the first time as work had given him a day off without striking so he helped his mate around the course, and Jane doing her first race over marathon distance, hope I got that right Jane? And Jim Jones openly admitting he was questioning himself why he was out there, he did it though, everyone who completed it deserves a massive round of applause and so does Andy Robinson, and his team, a truly epic event….thank you! First home was Charlie Sharpe in 4:33, first woman was Tracy Entwistle in 5:23. 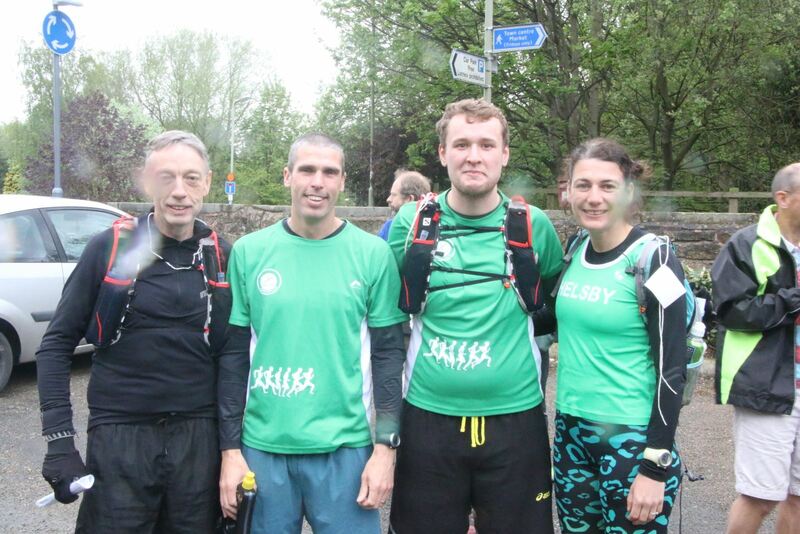 Helsby runners were…. Neil Finegan and Darren O’Connor continued their rich vein of form at Delamere Parkrun with PBs and a 4th place finish for Neil. Meanwhile at Widnes Parkrun, Helsby RC stole the show, with Colin Bishop and Colin Thompson capturing the top 2 places. Great running lads!!! Carl Pratt sent in the following report from the big race of the weekend. Another tired morning following a gig Saturday night getting home at 1am, up early for porridge and the train to Manchester. We got there an hour before the race so went to weatherspoons to relax first. Just my gel and a pint of water pre-race! The beer comes later! Although there were less serious runners actually enjoying a pre-race beer believe it or not! After leaving Weatherspoon’s, some nice runners allowed me to jump the barrier and squeeze in to the congested start area. The race started with an interesting warm up routine which involved around 30,000 people doing squat and lunge type exercises. Personally I decided not to join in as I have always preferred not to warm up for 10km and above and those kind of exercises are not ideal to warm the legs up for a run in my opinion. We got underway slightly late. Despite putting a predicted time of 35-40 minutes down and getting an orange number, I was surprised to find myself behind the 50 minute pacer and various charity runners in costumes. Similar to London 2 weeks ago, I had to zig zag the course and jump up and down kerbs to get past the crowd and run at a target pace of just over 4min/km. At around 3km I passed the 45 minute pacer and was able to focus on a more steady pace. The first 4km going towards Old Trafford were quite generous with a gentle downhill stretch. 5km split time 20:26. It started to get tough between 6-8km going back uphill on the dual carriageway towards Deansgate, however the wind was behind which helped (they even said so on the telly!). By the 8km split of 33:02, the chances of a pb had slipped so I had to dig deep to achieve the quickest time my legs would allow. I passed the 9km marker then there were markers for 400m and 200m (which always seem to put me off for some reason). There was no sprint finish on the not so nice final uphill section under the railway bridge to the finish line. A time of 41:25 is exactly a 4 minute improvement on last year’s GMR but 35 seconds short of my PB set at Liverpool spring 10k last week. I’ll take that and keep pushing for that 2015 sub 40! The goody bag contained 5 packs of Chinese curry noodles, Lucozade, a cereal bar, t shirt, a very cheap looking medal and a box of raisins! And on to the main reason for entering this very expensive race…The bars afterwards were great, plenty of banter and atmosphere with lots of runners. The beer went down very well indeed! There were lots of people running for very worthy charity’s and enjoying their achievement. 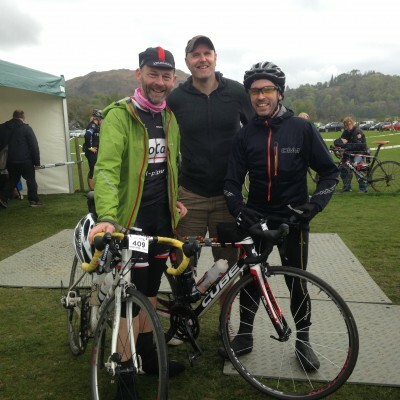 The Fred Whitton Challenge by Steve Riley. Honister, Newlands, Whinlatter, Cold Fell, Hard Knott (spit), Wrynose. It was out to the fells on Wednesday evening for Rainow 5 mile fell race. 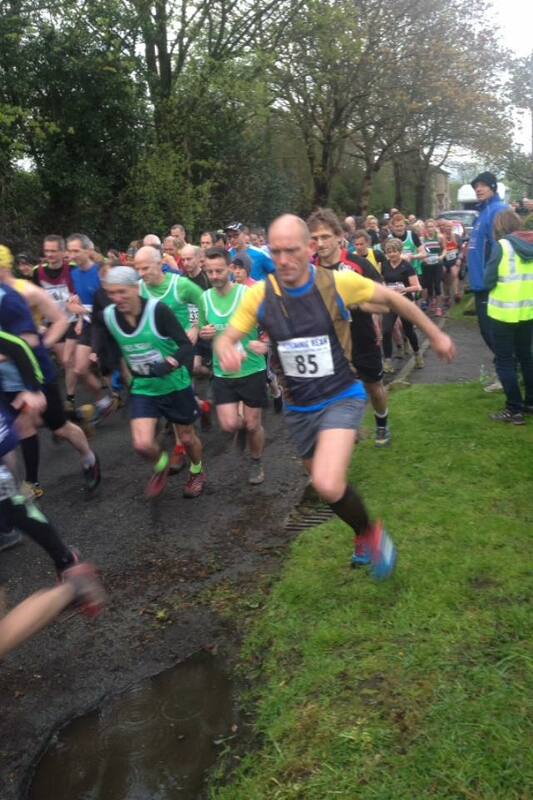 The race is a club counter and attracted a very strong Helsby showing with club members figuring prominently at the top end of the field and Max Wainwright first home for the men, Jane Ashbrook first Helsby Lady. Louise McEvely, James Gray and Ian Rutherford have been kind enough to send in reports from Rainow. 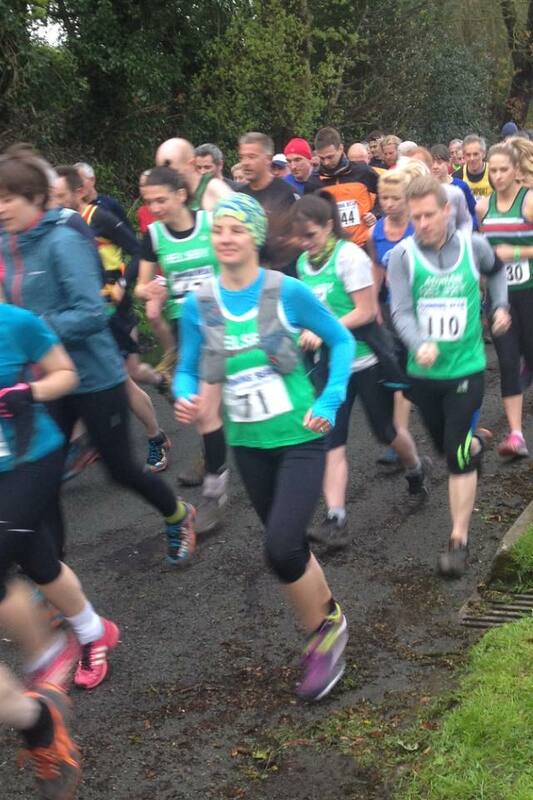 Having run the Sandstone Trail Race and Robbie Webster’s Wobbler I am not totally new to off-road races, but the Rainow Fell Race was my first one not on home turf, so I wasn’t sure exactly what to expect. I was a little apprehensive and turned up in plenty of time to register and get changed. I wasn’t sure if I needed a full array of kit to take with me so had compass, waterproofs, hat, gloves, scarf, kitchen sink (just in case) but only one sock, however, much to my relief Laura came to the rescue with a pair of walking socks. As it turned out the only piece of kit being advised was a waterproof and this was optional, so I dumped the rest and went off to the start line feeling a bit nervous but was pleased to see so many green vests and friendly faces. The race was off and I quickly got into my stride and felt quite comfortable until the first gate, where all runners patiently waited in arrival order to pass through, apart from one lady who skipped 9 places (yes I counted) much to everyone else’s disgruntlement. So that was it she was on my hit list and I was determined to catch her, needless to say the next bit of the race was a very steep grassy climb up to White Nancy which was a tough one. Once at the top the view was stunning over to Bollington and a view over to Macclesfield town as we ran along the ridge. I was feeling like we must be at least on the homeward straight only to realise we had just about clocked 2 miles, but pressed on to catch the gate lady and triumphantly passed her on the ridge. From there it was a downhill stretch which is where the pros really made up the distance, as I picked my way down with cautious steps, the old hands hurtled towards the bottom with breakneck speed. We were then finally on the homeward stretch and I was praying that there would be no more hills. I crossed the finish line cheered on by the barmy green army and was very pleased with my time. A great night, a great team and very toasty feet (thanks Laura a life saver) I am definitely down for the next and would urge any others who haven’t done a fell to get out there and give it go! As a long-term runner I must confess to have never raced or for that matter done any real running of note away from the roads. 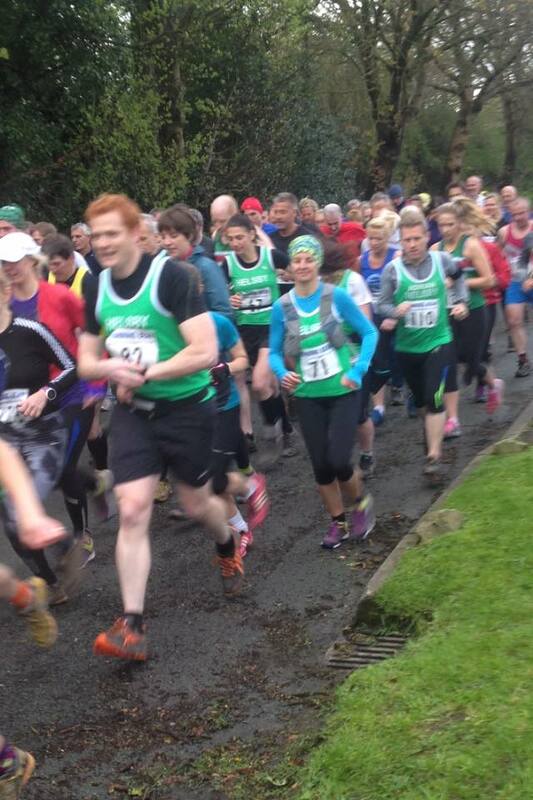 So what happens when you join a club like Helsby with such a strong Fell Running heritage? Something was about to give. I was starting from the beginning here though, the concept of having essential kit to me was an emergency fiver in your back pocket and a stop-watch. Having my naivety corrected by the knowledgeable ones (who will remain nameless in case they get bullied for helping a road-runner) and obviously now having thoroughly read and digested FRA SAFETY REQUIREMENTS FOR FELL RACES and RULES FOR COMPETITION Section 1 through 12 including that tricky often overlooked subsection b, I proceeded to target the next suitable (less threatening) first race. 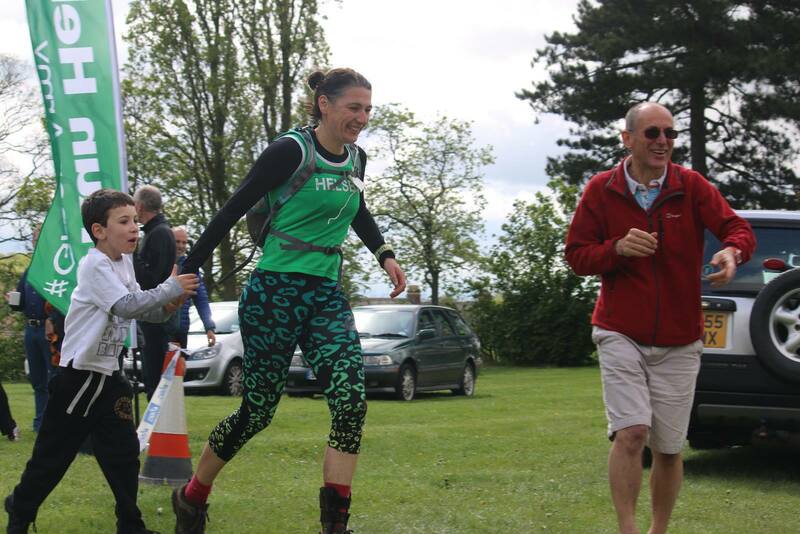 RESULT – it was declared a ‘no-kit’ event – so I now wouldn’t embarrass myself caring my Tesco waterproofs in my Gola rucksack around the 5-mile course that was yesterdays Rainow 5! I arrived early and got registered. Unluckily for Phil Gillard as the next Helsby runner to arrive he had to endure my constant questions from then on until literally the start of the race, sorry again Phil – but somewhere amongst this discussion and clearly directed by my stupid and pointless questions about split-times and pace (not really really) this wise old fox turned to me and stated “Ian, you do realise this is a Fell Race not a Fell Run.” No further explanation necessary. I had no further questions. We were off! Took it easy, knew things would obviously get tougher, nothing too much to worry about and lo and behold we’ve stopped. I’m in a race and I’m not running… this is new territory. A-ah a gate, okay few deep breaths; well this is easy I though, we all get to take a breather – I start chatting to my fellow Helsby, even offering a relaxed joke and off we go again, some gentle ups, some downs – I try to sprint down a grass section and overshoot things a tad, I use the gate to slow me down but end up having to apologise to the runner in front as I’ve now just banged the gate against him – he’s cool and runs off. Things are going well, someone mentions something about Nancy – she must be a good runner I thought – Oh mother of god! My run, becomes a plod, becomes baby-steps, becomes a stagger; I can feel my heart trying to explode out of my chest, parts of my legs are on fire. We’re not in Christleton anymore – are we? I get to the top after seemingly an age and somehow or other it seems you’re now expected to start running again! People start flying past me and a quick check of the Garmin (yes, yes I know) shows I’m only around one and a half mile in….Bugger. I actually recover fairly quickly and feel confident once more to start running harder, I even pass a few runners on the level parts but just blown away by how quickly some people are able to descend, it’s such a skill. Another steep last stage, but one where I kept some rhythm and maintained a fairly even pace throughout the climb and then its down all the way to the final few hundred yards of the race with even a smidge of tarmac at the end to see me home in a sprint finish with some fellow Helsbies. I finished in a happy 43’40 wanting more. I’ve wanted to do a fell for ages, I’d heard about the value for money, the stunning scenery, friendly atmosphere and of course the tea and homemade cakes … So after finally getting my act together, I was ready to have a crack at the Rainow 5. I was told that Rainow was a good choice for beginners and not too brutal. In hindsight I’d probably go with that description – it was brutal enough, but also short enough to remain fun. I paid my fiver in the village hall and joined the Green Army outside positioning myself in the middle of the pack. The race started promptly and we were off down the lane. Left on to a cobbled lane up a hill, across a field – bit of early jostling for position in the mid-pack area and straight on to my first queue. Very civilised. A few knowing nods and a bit of small talk later I made it through the gate and belted down the field to the next queue. Bit of a breather, I could get used to this. The climb to the White Nancy is quite early on in the race and having made the mistake of pushing up hills too fast and too early in the past I opted to try and save as much energy as possible by kind-of-like hiking up it… Although there was still plenty of the race and hills to come, that for me was the most challenging part. Once at the top, it took a while to get my breath and run with what felt like any co-ordination as the oxygen slowly made its way back to my legs and arms. The rest of the race however was great fun. I took away some valuable lessons. I’m not very quick at descending. I knew that already but it became apparent during the race. Secondly, I can (or at least could on this occasion) climb quite well and I found myself in a race with two or three people who would fly past me on the downhills but who I was able to catch up overtake on the flat and uphill. I got a better understanding of where my strengths and weaknesses lie. I’ve been overtaken on roads in the past and never usually catch up. But in this race I was much more competitive going uphill and I wasn’t really expecting that before the race. I finished in 47.09 which I was pretty happy with. Overall it was a very friendly and welcoming event, no pretence, just a case of turn up and leg it up a hill. Stop around for a bit at the end and have a cake. What’s not to like? It was a great introduction, and I’d fully recommend a similar race to anyone thinking of having a go. Thanks for the reports Louise, James and Ian. Lastly, just a quick reminder that the club AGM is on Wednesday night after the training run.